God Sigma has never really been on my radar. Up until just recently, I hadn’t considered adding him to my collection. 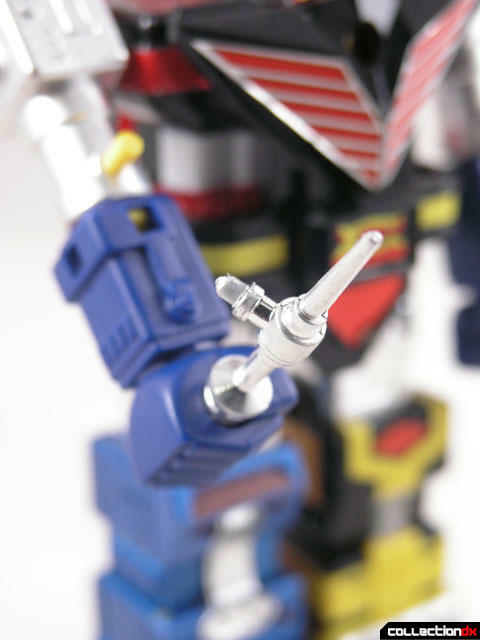 Something about the aesthetics of the robot never really appealed to me, but as is with other things in toy collecting, it just takes one little hook to get you into collecting something. 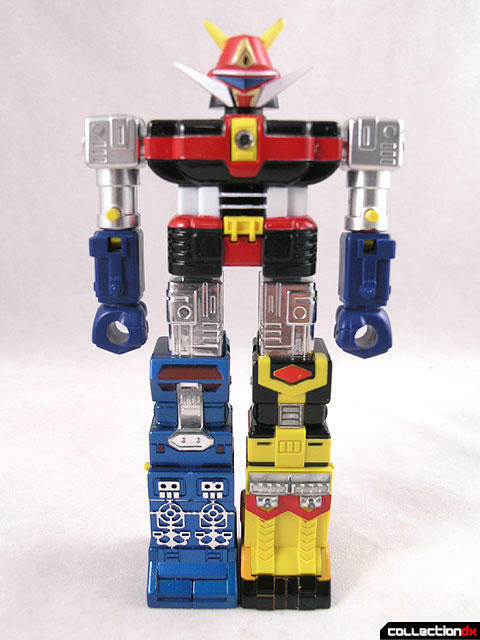 Space Emperor God Sigma was a 1980 Japanese Anime that ran for 50 episodes. Yutaka Izubuchi, the creator of Raxephon, was involved in the mechanical design for this series. 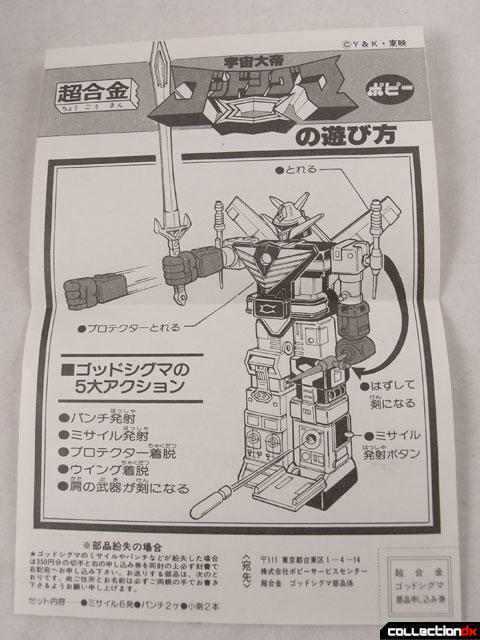 If you grew up in the US in the 80s, you might remember this character being one of the big Godaikin robot sets released by Bandai America. Unfortunately, they never released the ST size version in that line. For that, you have to go to Japan. 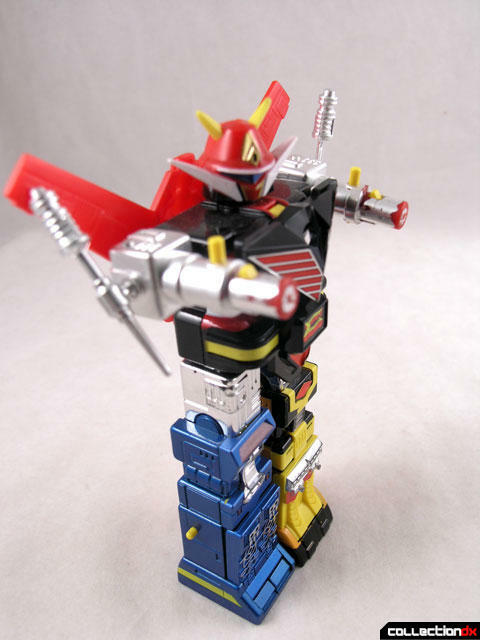 The ST God Sigma, while non-transforming, is a fine toy in its own right. 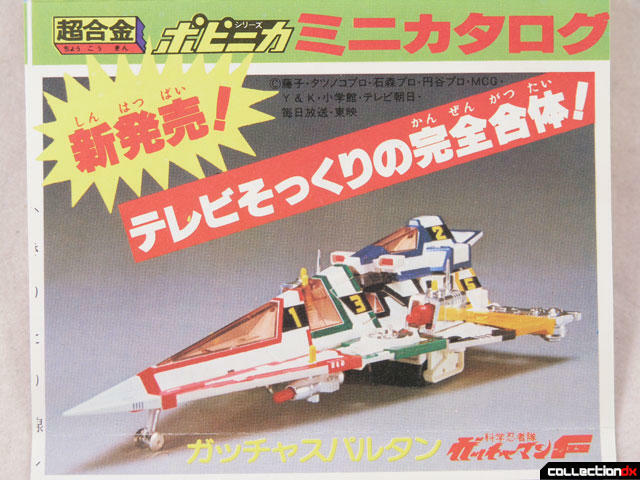 It’s a big, blocky chunk of metal with swords, missiles, and other dangerous objects. What’s not to love about that? The box is standard Popy, with beautiful art all around. The paintings on these boxes really grabbed you and screamed “BUY ME!” They still do to this day. Inside, the toy rests in its Styrofoam tray. 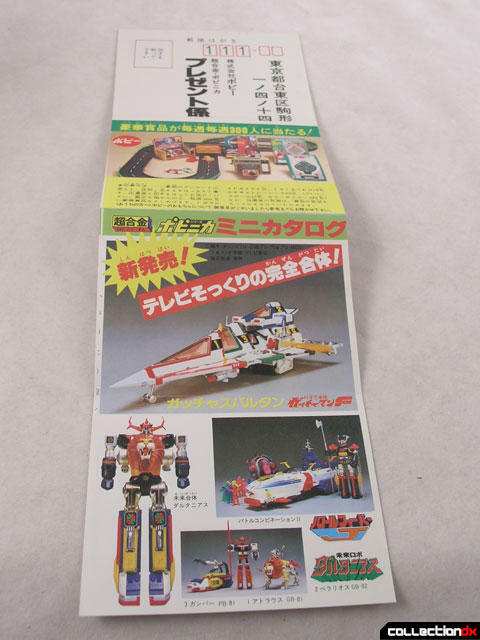 Right away, you can tell that this is a bit different than your average Chogokin. For starters, look at the head. 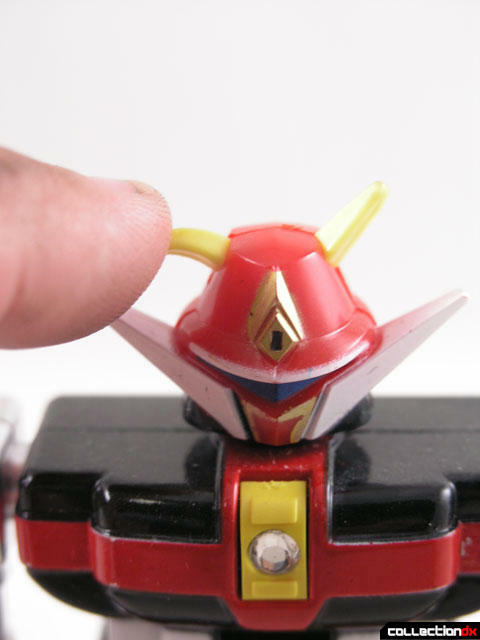 The head can turn, and the head spikes are RUBBER, not hard plastic. It’s a great idea that they didn’t use nearly enough. Yep, there is a sword. 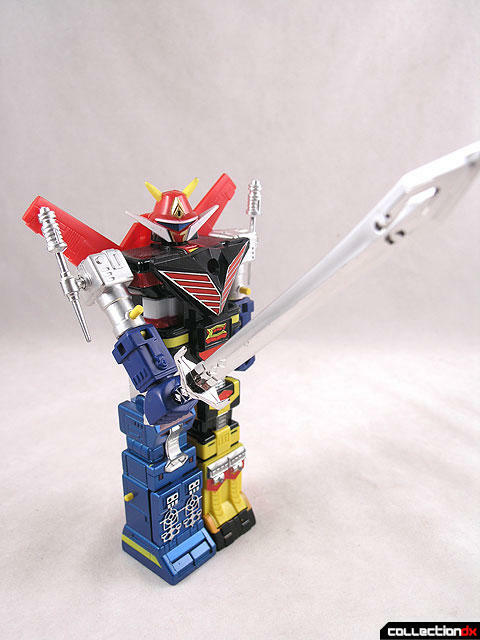 The shoulders turn, and each shoulder holds a melee weapon that can be removed and placed in either hand. The fists fire, of course. The metal chest has front and back clip-on sections. The back wings are removable, as is the front armor. 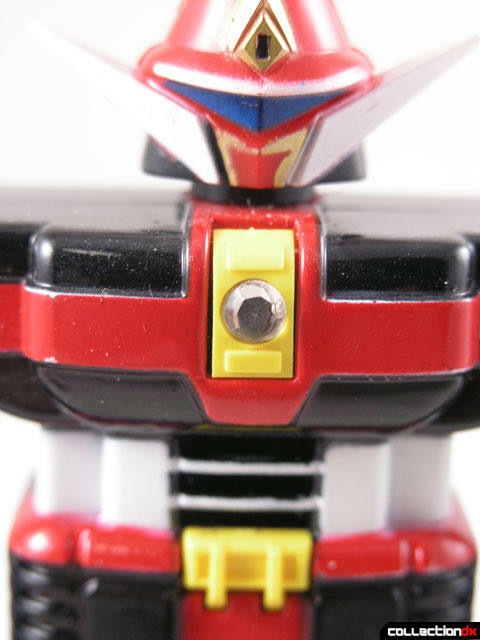 The armor has a neat little cut out that allows you to see a gem embedded in the chest. The legs are articulated at the hips and knees. 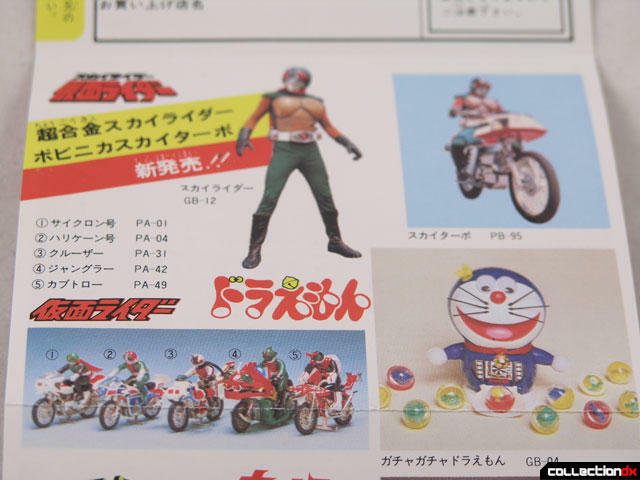 There’s a pretty good range of motion for a toy of this era and series. 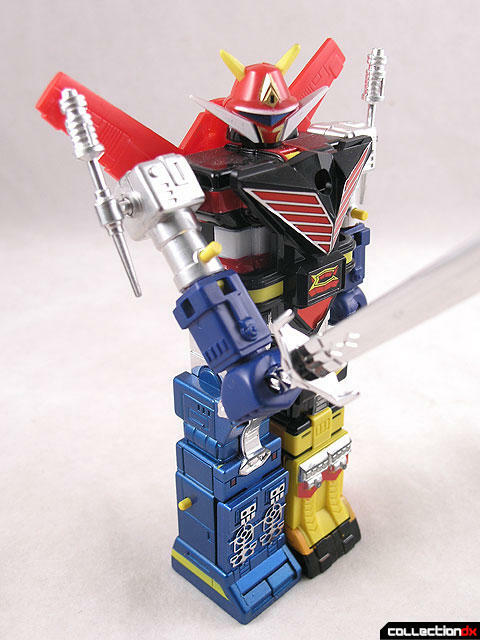 Granted, it’s not much compared to today’s figures, but compared to most other ST Chogokin, it’s nice. I mentioned missile launchers, didn’t I? 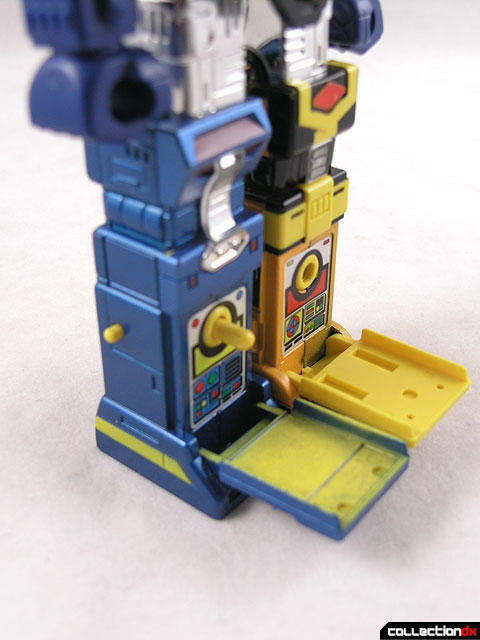 Each leg has a hidden launcher. Flip down the panel just below the knee to reveal the launch hole. Yellow missiles fire from the hole, but cannot be stored inside. 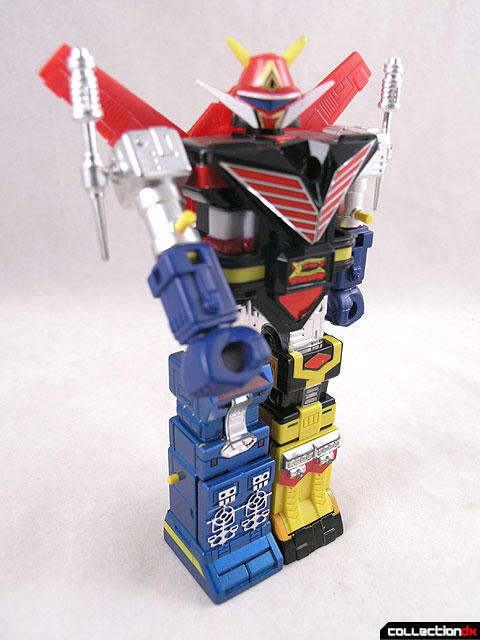 Once I got a chance to hold this toy, and play with it, I am finally getting the appeal of God Sigma. He’s a brick, but he’s a posable, action-packed brick. I know it’s a contradiction, but somehow it works. 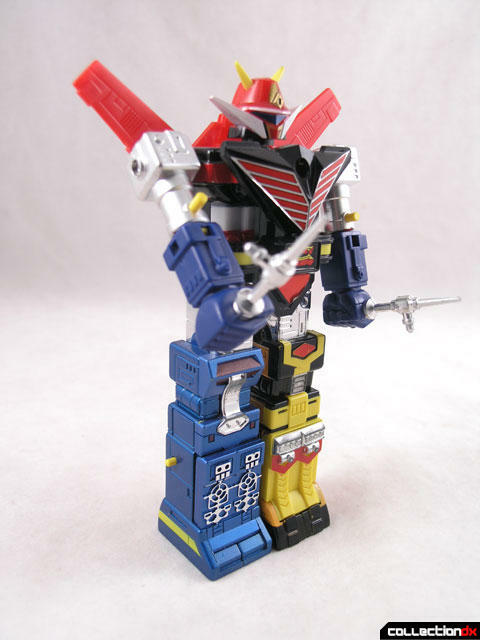 I love these reviews of these old overlooked chogokin, so keep them up. Great review. 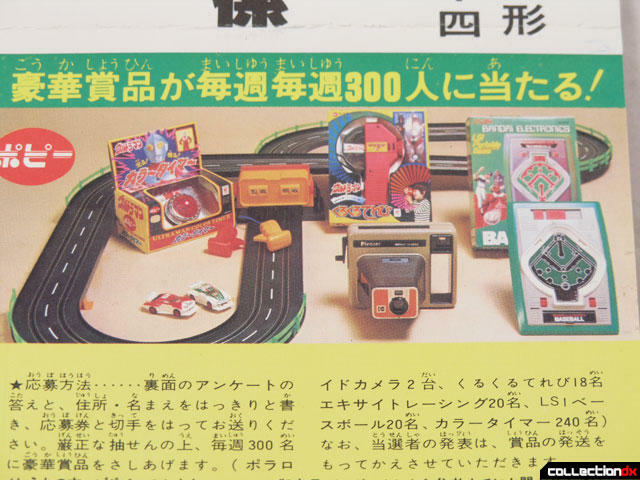 I especially enjoyed the scans from the catalog. While this ST version seems more anime accurate, I like the DX version's proportions better - I think the small head and big shoulders of the DX version give it an epic look that this ST one lacks. 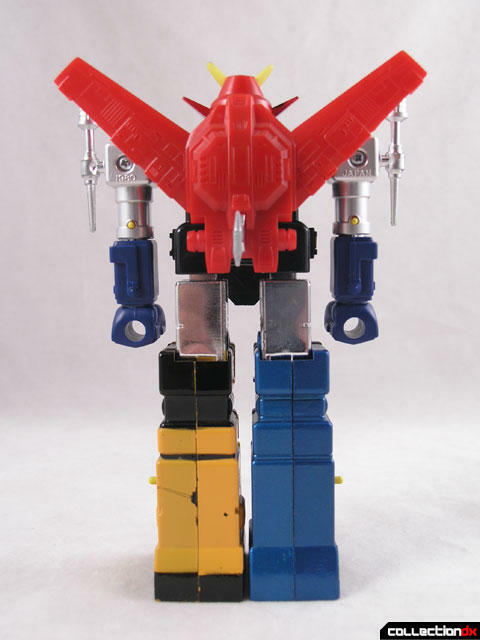 This is one of my favorite ST's...the "shin missiles are especially a nice touch. 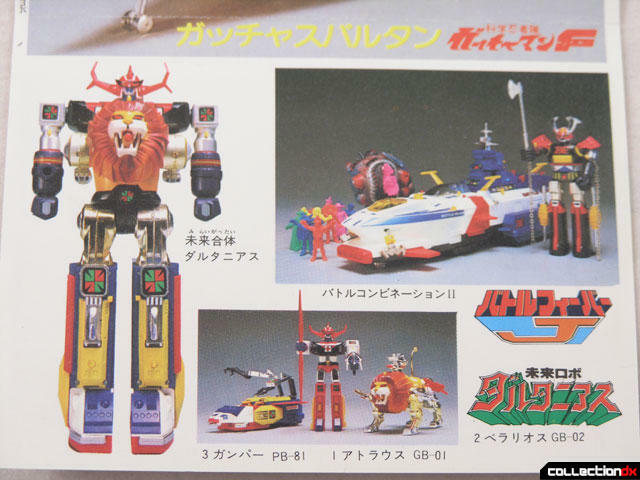 As a ST "connoisseur", Godsigma and other ST's of that period (late 70's to early 80's, including Golion, Sun Vulcan, & Daltanious) were some of the best stuff that Popy churned out. Great review. 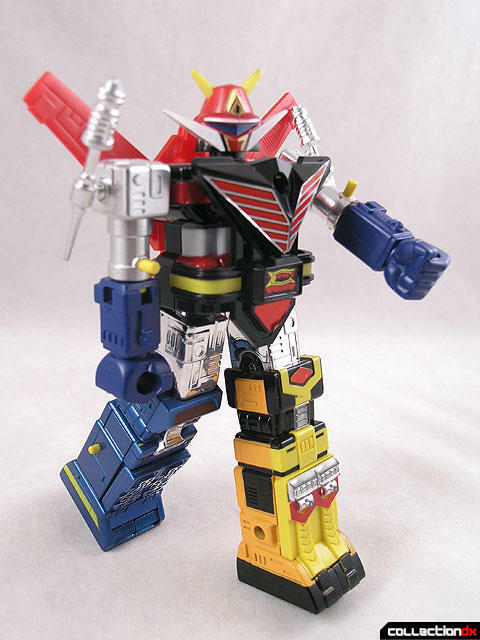 I have an old Godsigma model I need to assemble; I hope it comes out looking this nice. "Let [s]he who is without error ignite the first flame." 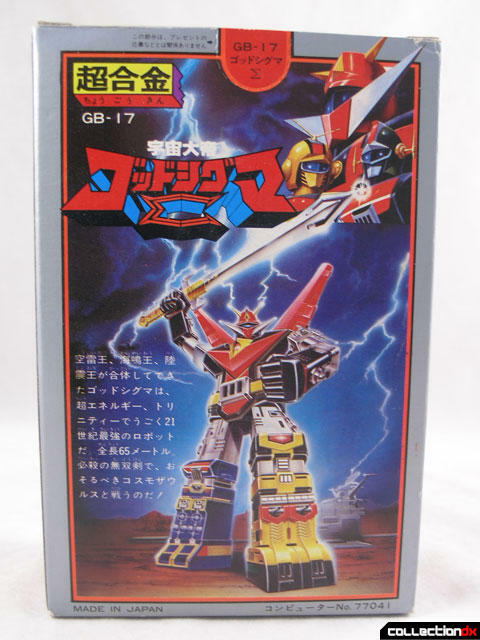 The DX Daltanious was released Stateside under the "Godaikin" line in the early to mid 80's. 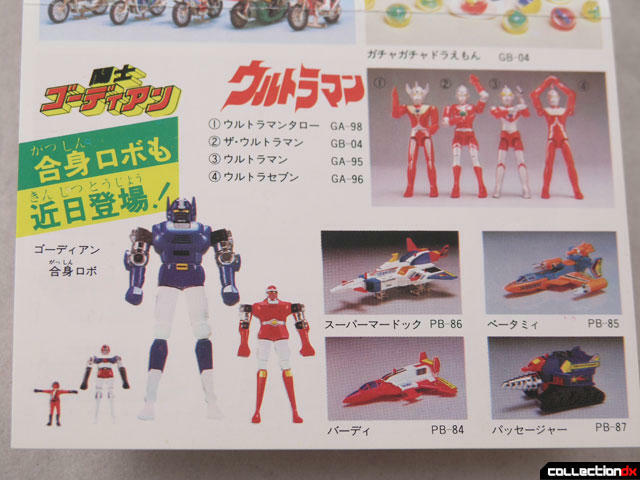 I don't think the Gatchaspartan was ever released here, though Bandai did release them in Europe. Awesome Josh, I was really digging this. 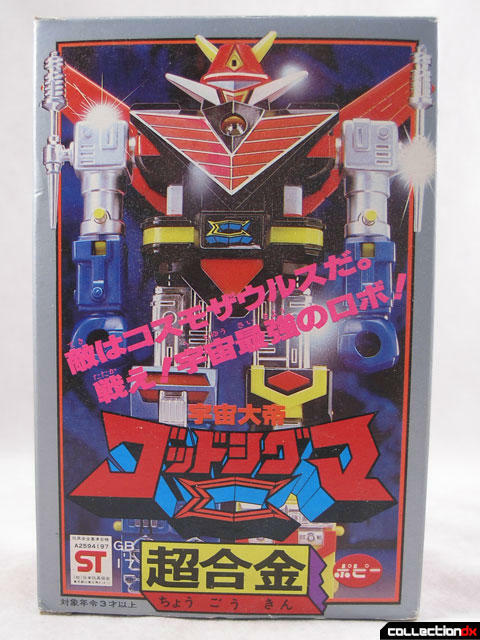 Godsigma was the first weird, non-TF, super robot I was exposed to as a kid, when one of my friends had the wisdom to pick up the DX Godaikin on sale in the 80s. I'm glad the design does grow on you. One thing this ST has over the DX, is actual firing missles. 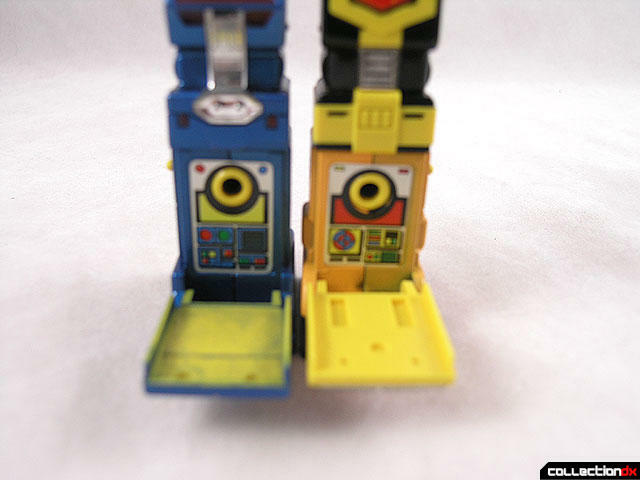 The DX shoots off 3 sets of fists, but not a missle to be found in the set. At first, yeah the proportions are wonky, with the oversize, blocky legs, different colors, etc., but this always struck me as one of the most (forgive me) "Japanese" feeling warrior hero robots of the combiner class. Very spacey, and as Txos says, EPIC! 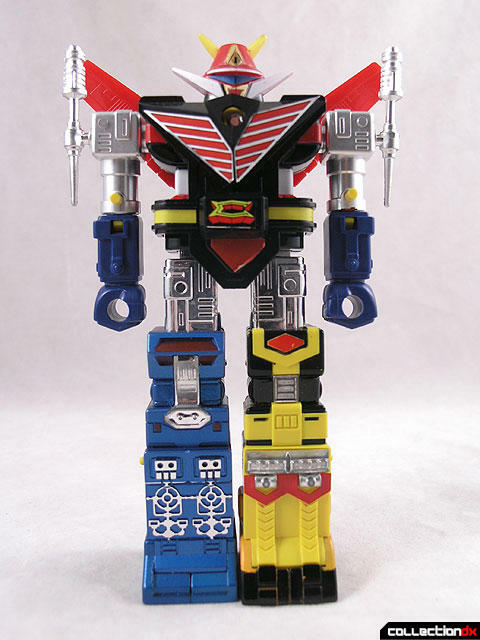 Wasn't Yutaka Izubuchi involved in the mechanical design for God Sigma? I have always known that the character designer was Kaoru Shintani (known in the US for his Area 88 comic), but I may be wrong. You are correct, that's an error on my part. I used to use character designer and mechanical designer interchangeably. I'll update it accordingly.